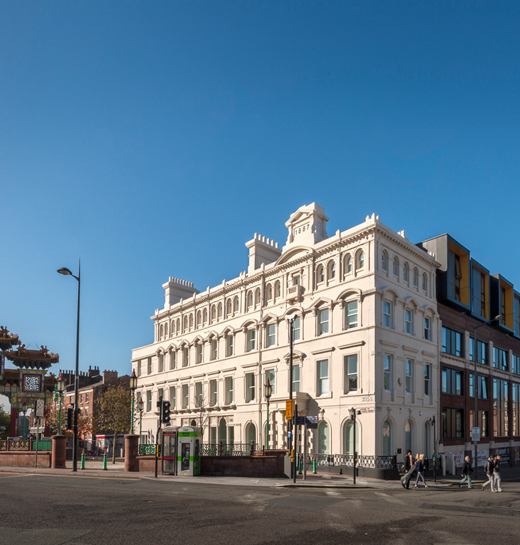 An iconic and instantly recognisable building and address located within the city centre’s regenerated China Town and East Village District of Liverpool, directly adjacent to the Chinese Arch on the busy arterial routes of Great George Street and Duke Street. Local residents include young professionals and students, with a wide range of restaurants, bars and retail units in the area. The ground floor suite has an area of c.12,755 sq ft (1,185 sq m) and is available as a whole or split commercial unit from c. 4,000 sq ft (279 m2) upwards. 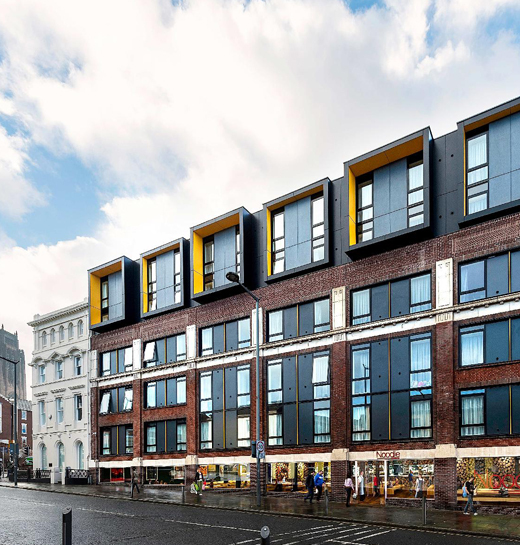 The upper floors provide 241 new high quality student rooms. The ground floor provides very prominent window frontage to Duke Street (and also Cornwallis Street and Cummings Street). Duke Street provides the most prominent frontage and we can create two level entrances here. Subject to planning conditions (existing consent A1, A3 and A4). The unit(s) are suitable for a wide range of uses including retail, supermarket, office, training, gym, fitness, café, restaurant or leisure.